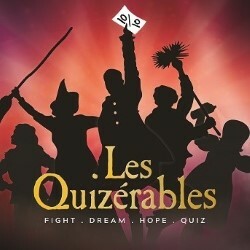 An interactive pub quiz for musical theatre queens. Hosted by Little Cosette Katie Pritchard and featuring a variety of special musical theatre guests, Les Quiz pits the finest Broadway brains against one another and celebrates the fact that your playlists are nothing but show tunes! Will your team find (one song) glory? Let the nerd battle commence! May include a dance-off. Les Quizérables. Fight. Dream. Hope. Quiz. From the creators of Notflix, the five-star, total sell-out, all-female improvised musical comedy. **** (APintandaPlay.co.uk).